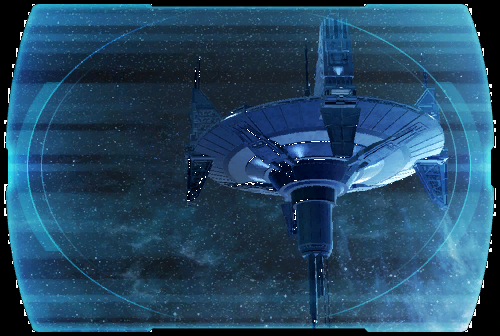 Originally an Azalus-class Hutt dreadnought, "Port Nowhere" was transformed into a mobile space station catering to less-than-legitimate business. It rapidly became a favorite destination for smugglers, black market merchants and other outlaws. Of all the galaxy's seedy spaceports, only Port Nowhere offered true freedom. For years, Port Nowhere traveled between Hutt Space, the Outer Rim and the Core Worlds. It stopped in neutral sectors and broadcasted its coordinates on coded HoloNet frequencies. Criminals converged on the station and conducted business before it jumped back to hyperspace, always remaining one step ahead of the law. Recently, however, Port Nowhere suffered a major hyperdrive malfunction that left it stranded. When or whether the station shall resume its former mobility remains a mystery.